Winter time means more work for your furnace which comes hand in hand with higher energy consumption. Energy costs have been on the rise over the past years and all indications point to this trend carrying for the foreseeable future. If you are thinking that insulating your attic will help to keep your energy costs down, you are on the right track. You can save anywhere from 10 to 50 percent on your heating bill just by properly insulating your attic. Good attic insulation also contributes greatly to keeping your house warm and comfortable despite the biting cold. The good news is you don’t have to break the bank to insulate your attic. 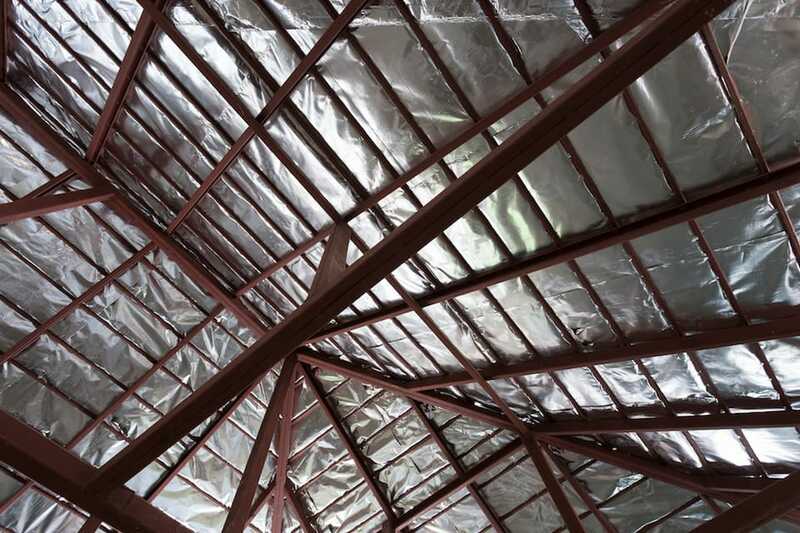 A radiant barrier isn’t just for the summer when it helps to reflect radiant heat out of the attic and keep attic temperatures cool. It works equally well during winter. Warm air rises and is lost through the ceiling, into the attic and out through the roof without a radiant barrier. This scenario causes your heating system to work that much harder to maintain warm indoor temperature. Installing a radiant barrier over the attic insulation or underside of the roof will help to keep much of the indoor heat inside the house. You may be losing up to 70% of heat through the ceiling and roof during winter if your attic isn’t properly insulated. Radiant barriers are inexpensive and easy to install and make a significant difference. It may sound counter-intuitive paying a professional when attempting to save cost but this option stands out as the best money saving opportunity if you think long-term. First, professional attic insulation installation, especially with products like blown-in cellulose, isn’t nearly as expensive as it once was. Secondly, an experienced installer will know the perfect material to use, the best R-Value and cover up many of the attic flaws such as air leaks that would otherwise prevent you from enjoying maximum efficiency in DIY installation. Considering that you stand to cut heating costs by up to 50-percent in some cases, professional installation will more than pay for itself in the years to come. Add the fact that properly installed insulation can last up to 80 and even 100 years, the savings continue to add up significantly. Lastly, the insulation will cut down the cycles your heating system has to run to keep a comfortable temperature. This means more savings in maintenance and unnecessary repairs over the long-term. 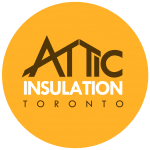 Attic Insulation Toronto performs preliminary inspections and provides a full report including exactly how much you stand to save from professionally upgrading your attic insulation. Simply weather stripping your attic hatch can also significantly improve attic insulation especially if the existing insulation is up-to-code. Locate the attic hatch and remove it carefully. Measure the length of the edge of the attic hatch on the inside of the ceiling and cut the appropriate size from your roll of weather stripping. Remove the adhesive carefully and apply to the edge and repeat the processes with the remaining three edges. You can equally choose to weather-strip the attic hatch itself just be sure to measure carefully to save you time, effort and material. This is a great way to seal air leaks and drafts and you may discover that the area immediately becomes warmer. If you have any leftover batting insulation, simply tape it to the back of your attic hatch. Alternatively, purchase form board from the local hardware store, cut to the appropriate size and adhere to the back of the attic hatch. Make sure that you can still open the hatch comfortably after you are done. This small change helps to seal leaks in the attic and improves the performance of the existing insulation. Hire Attic Insulation Toronto for an energy audit to figure out where exactly you are losing heat and the most cost-effective way to solve this problem. The gains in energy efficiency will pay for the professional service and continue to save you money for decades to come. Call us to book a free inspection: 647-931-6385.